Hi, I am Shannon Goode, founder and lead educator for GoodeHair Workshops. Hair is my obsession. Working with hair to take it through the many stages of styling is what moves me. Creating stunning hair styles has always been a passion of mine. Having the opportunity to share that with others is the sweet cherry on top. When not teaching or styling hair for weddings, you will find me climbing trees, running on trails, hanging my hammock, riding my bike, and looking for adventure. Since it is full on winter, workshop season is in full effect. Workshop season takes me all around the country. 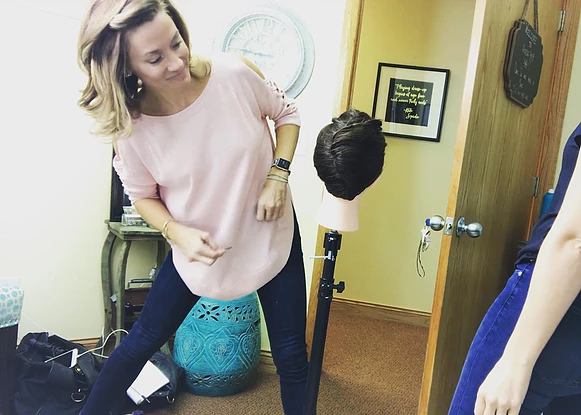 Having the opportunity to work with salons, spas and individual stylists to build confidence in styling, perfecting technique and opening minds to create in ways you never thought of is a dream come true. Nothing can be better than traveling when the weather is cold in Ohio!